This account has been hijacked (temporarily)! Not this Medium account… Celebrity & Verified Twitter accounts, like the ones you read the tweet from! 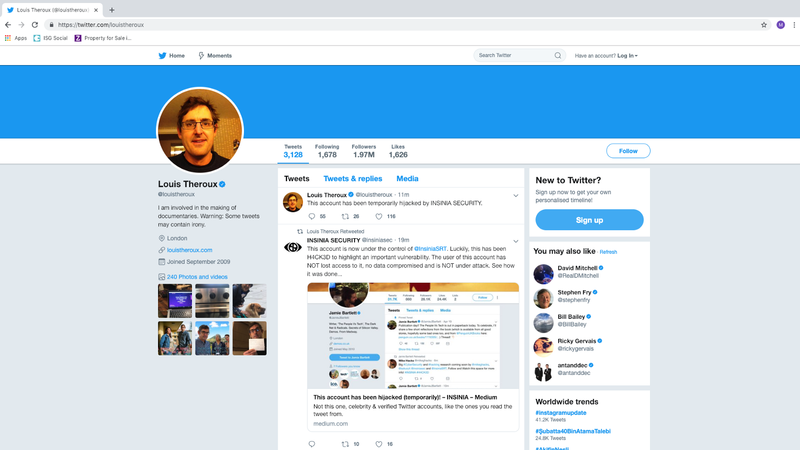 If you’re reading this then you’ve probably seen some of our research on Twitter, where INSINIA SECURITY successfully hijacked the accounts of a number of celebrities, including Eamonn Holmes & Louis Theroux. Louis Theroux’s Twitter account being controlled by Security Researchers @ INSINIA Security. Some of you may know that INSINIA have been highlighting the security issues around text messages and the use of the cell network for authentication, interaction and even communication in everyday life for over 7 years, when INSINIA wrote one of the first tools for spoofing the MSISDN within text messages. 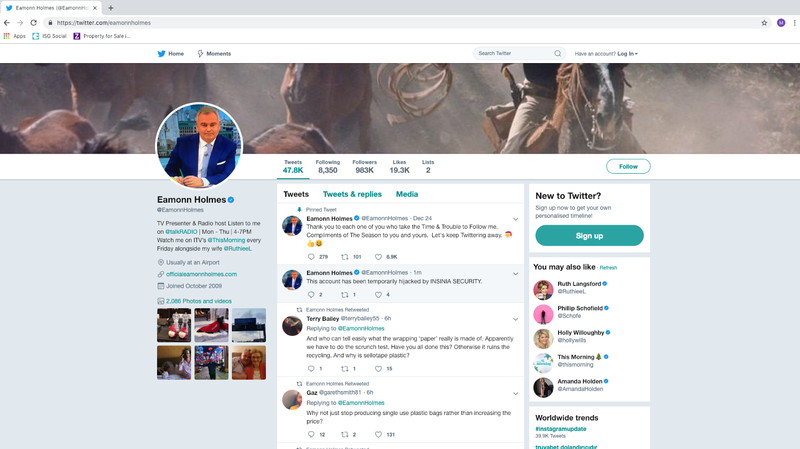 Eamonn Holmes, popular UK TV and Radio Host was also susceptible to the attack. Back in March, we warned about the issues of using text messages for security. In fact, we warned about using them for pretty much anything! So what did Twitter do? Well they allowed anyone with your phone number to Tweet from your account. We understood the way that Twitter handles incoming texts from your number. If we can text from what appears to be your number then we can interact with, and fully control, your Twitter account. We needed numbers! This was surprisingly easy, but we won’t disclose exactly how we did it here. We used this method to successfully control the targets Twitter account, allowing us to send Tweets, retweet and like tweets, follow and unfollow people and much more! Twitter should also decouple your phone number — using your number for TFA should not automatically allow you to Tweet from that number, especially with SIM Swap attacks becoming more prevalent.